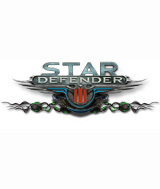 The highly anticipated sequel to Star Defender 2 is finally here! Get ready to fight through hoards of alien beasts as they mercilessly attack the Earth. Human forces are still weak from the last battle. Now they have bigger bosses blocking your way at every turn. Your newly crafted wares and technology might be enough to destroy their last stronghold, but you will need to use your speedy reflexes to get the upper hand. The explosions and sounds will blow you away and you'll never want to return home. A wide array of alien spacecrafts with their own unique weapons. More than 100 breathtaking levels. Ability to post your results to Worldwide Hall of Fame. Comments: This game is similar to the others just shoot and kill the aliens that are attacking you to destroy earth. The bonuses are great helps but you need a quick eye and hand in order to win.